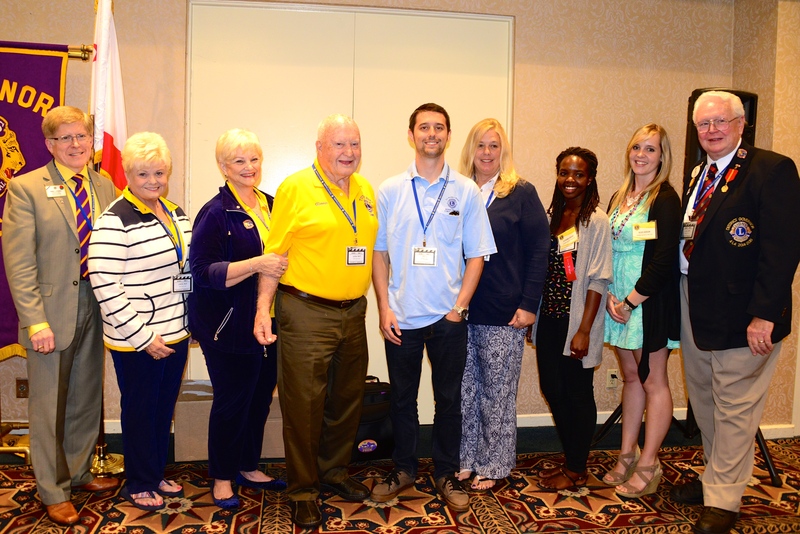 My visit to District 4-L4 in California made a lasting impression on me because of the wonderful people, the warm climate, and the fun we all had throughout a well-planned convention. District 4-L4 is a growing district with several campus clubs. 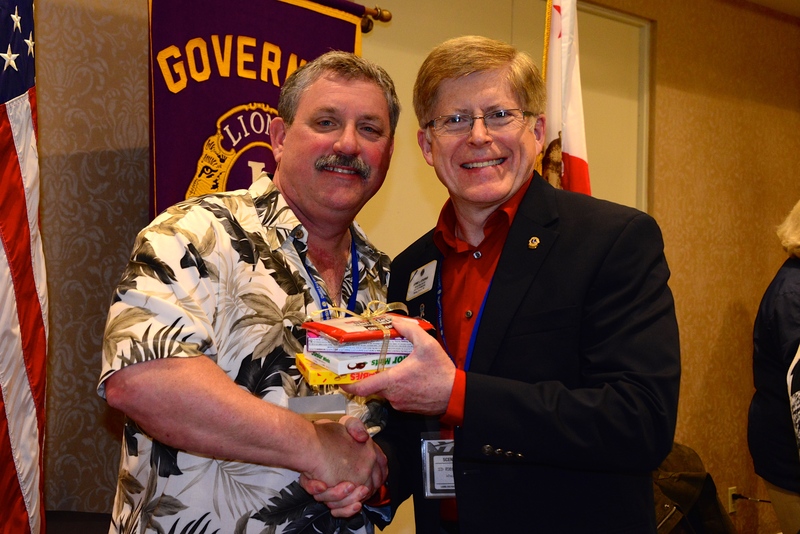 Upon arrival, District Governor Gil Smith picked me up at the airport and we whisked away to the Pala Mesa Resort in Fallbrook, California where my room was ready and it wasn’t long until we were off to Lucille’s for great barbecue. To add a little extra fun, a cake eating contest was staged with DG Gil, 1st Vice District Governor Ken Myers, and 2nd Vice District Governor Bob Susaeta calling out directions to their blindfolded spouses/partners about how to get the cake from the plate to their mouths. 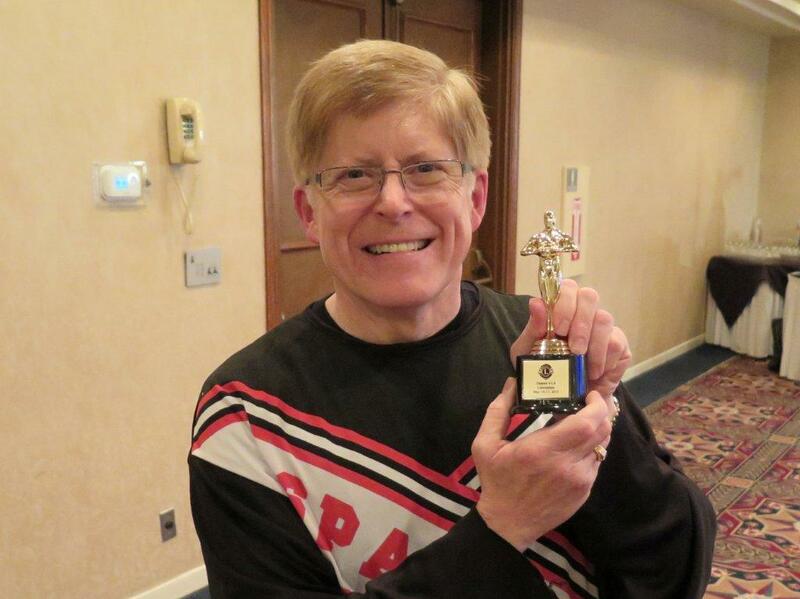 In the end, 2nd VDG Bob won the contest. 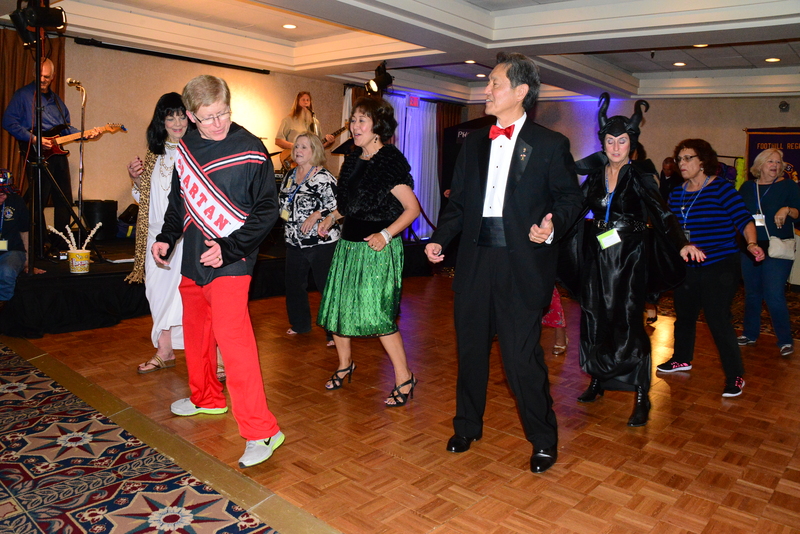 The convention had a Hollywood theme and we enjoyed a number of fun activities throughout the three-day event. On Friday morning, the convention committee challenged the participants with a contest: “So you think you know Oscar.” Each of us answered questions about Oscar winners and the competition was narrowed to three. I was lucky to be in the winner’s circle and received 3rd place. 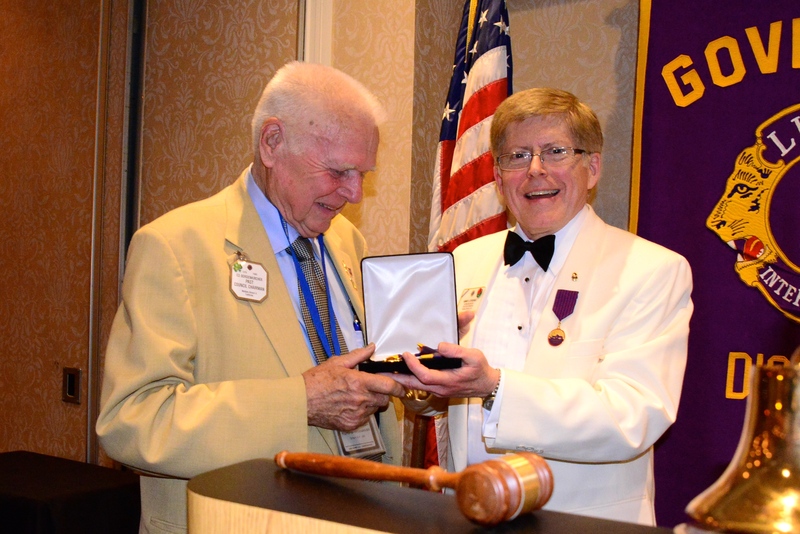 ID Robert receives prize from convention chair PDG Dan Mayer. That evening, we enjoyed “A night at the Academy Awards,” with everyone dressing up as a favorite Hollywood character. I chose Will Farrell and came as the cheerleader. The band was terrific and we were all singing and enjoying the music. 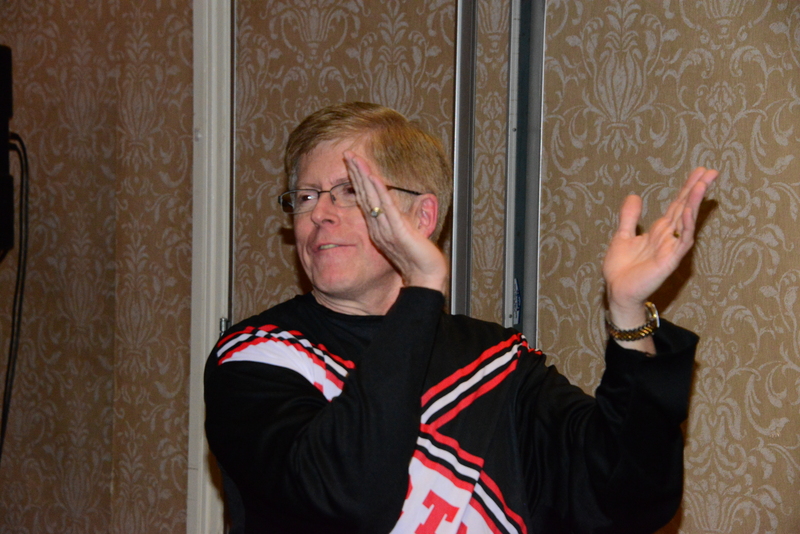 I even learned how to line dance much to the enjoyment of those who watched me attempt the various moves on the floor. It was a fun night. The convention planners arranged for a photo booth and I must admit I photo-bombed quite a few shots! Learning the 4-L4 line dance was challenging but good fun! There were important matters for the convention to consider. 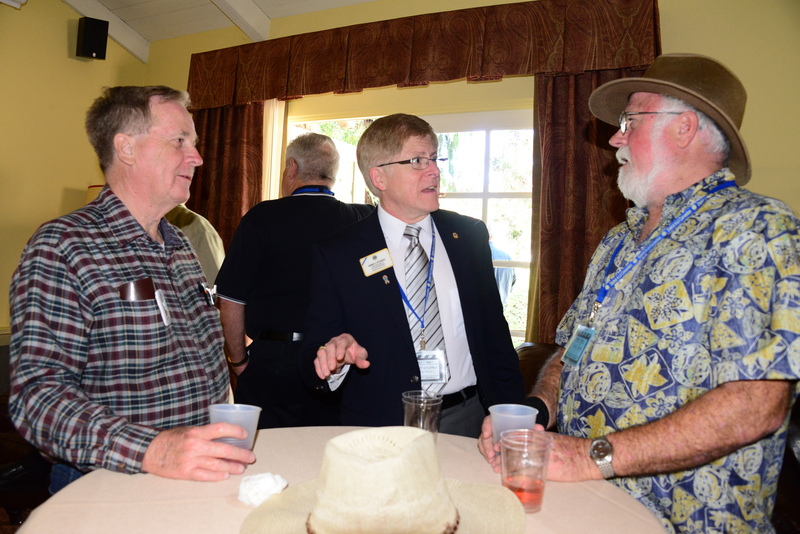 A three-way election for 2nd Vice District Governor prompted campaigning and hospitality. All three candidates had strengths, and in the end when Lion Judy Barr was elected, the other candidates were honorable in their support for Lion Judy and the process. I’m sure they will try again next year. The theme of the convention was Lead-Grow-Serve and through the convention, these themes resonated in the activities. 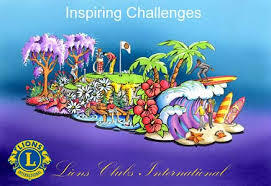 I was so pleased to again induct several new members to Lions Clubs International. This induction was a family affair with proud father sponsoring a daughter who sponsored a sister. I also had the special honor to represent International President Joe Preston in the presentation of the Ambassador of Goodwill Award to a Lion PDG Ed Bordenkircher from District 4-L4. 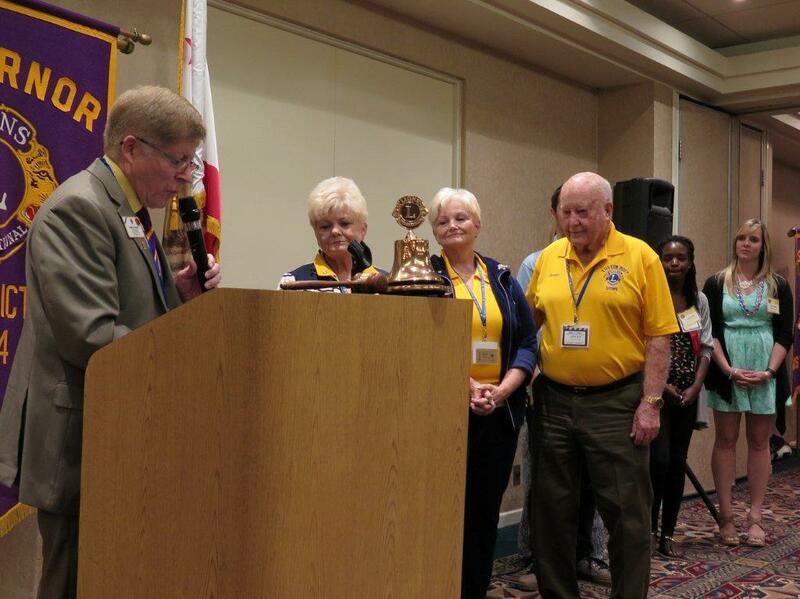 The Ambassador of Goodwill Award is the highest honor any Lion can received and only a select few have received it. 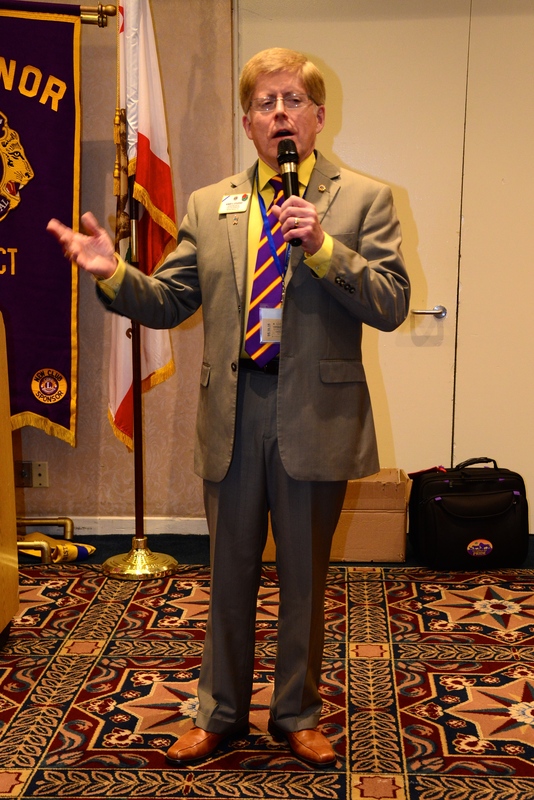 According to the nomination materials, PDG Ed is the face of Lionism in his community and has served in a variety of other community activities. As an example of the high regard in which he is held, in 1982 he was selected by President Ronald Reagan to travel to Germany to promote Lionism and was made an Honorary German by the German government. 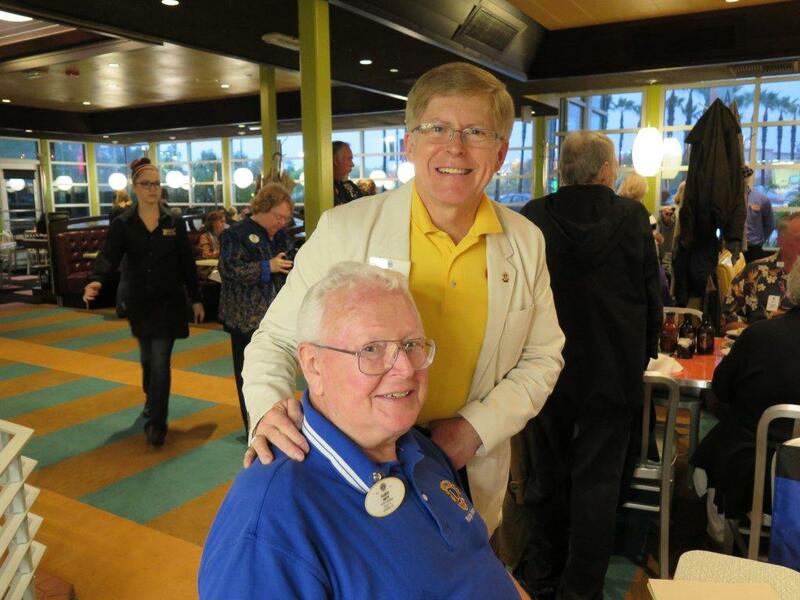 He has received 32 District Governor Appreciation Awards, countless club awards, and the District Lion of the Years Award. In addition, he has sponsored 25 Lions. He received the International President’s Award in 1983, 1991, 1997, and 2011. He also received Leadership awards from MD4 four times and is a Melvin Jones Fellow. I can tell you that he is a remarkable person and worthy of the award. 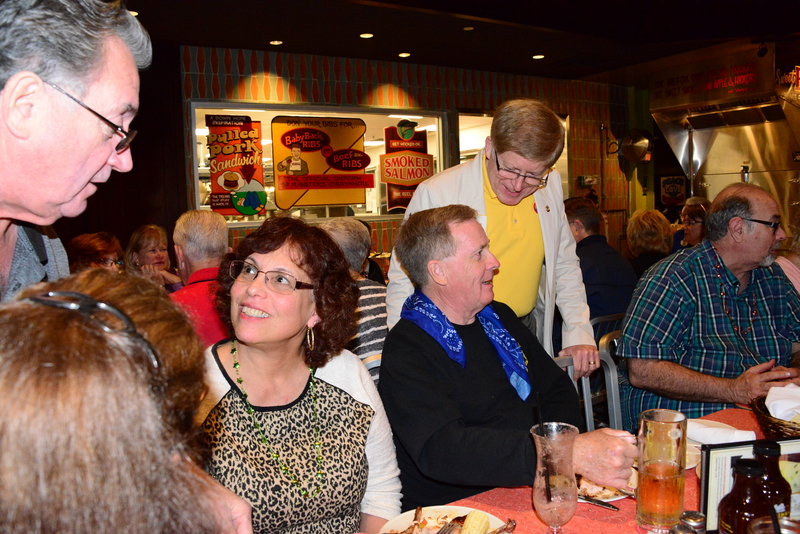 The convention planners held two special receptions in my honor so I had the opportunity to visit with most everyone at the convention. Without exception, the warmth and friendship of these Lions was overwhelming. They took very good care of me throughout the weekend. The generosity of the participants was overwhelming. 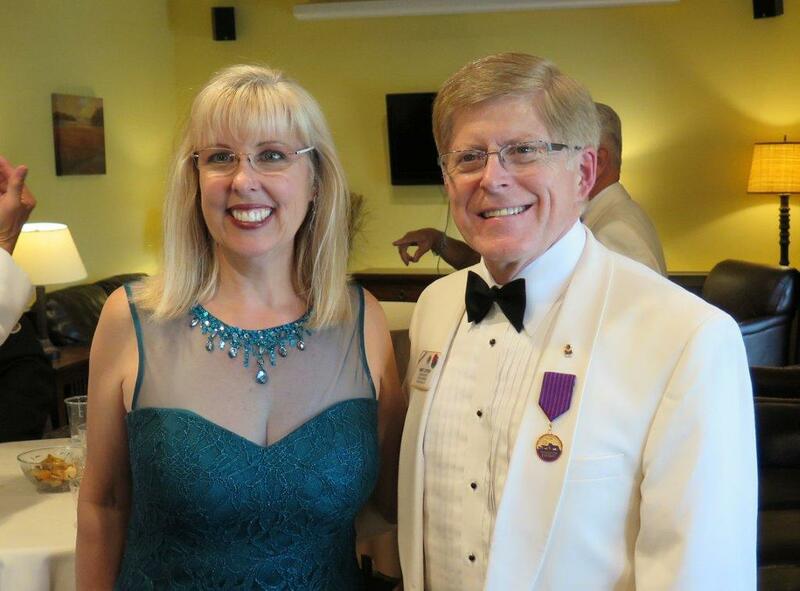 Not only did the LCIF Coordinator Elizabeth Warren collect $3,963 for the Nepal relief effort, but I collected another $265 dollars for the One Shot, One Life initiative to inoculate children against the measles virus. 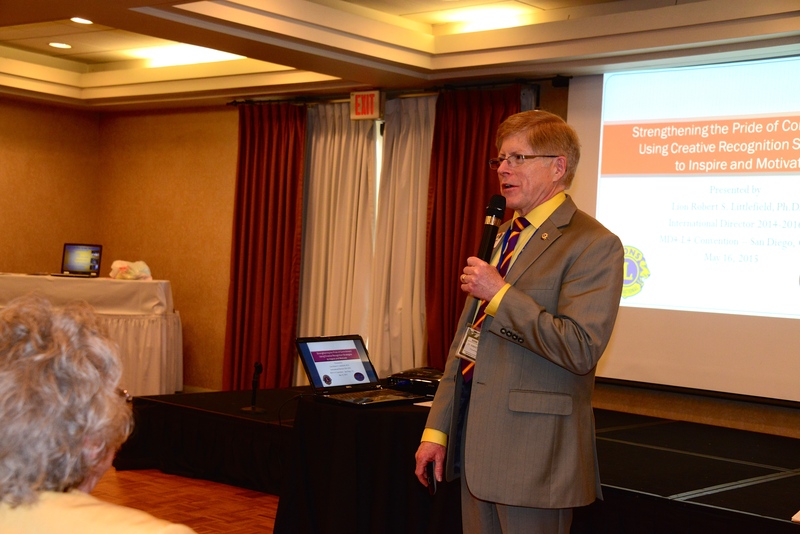 On Saturday afternoon, I presented a workshop on how to use creative recognition strategies to motivate and retain members. DG Gil helped me with some suggested names and I presented a range of fun awards to spur some creative thinking among those who attended about how to add recognition to their meetings. At the final session on Sunday morning, we had the pleasure of hearing from Alena Strickland, the founder of DreamCenter, a volunteer-driven organization that finds and fills the needs of people in Los Angeles. Since 1994, the Center has served hundreds of thousands of individuals and families. The facility providing free human services that address immediate and long-term needs in the areas of homelessness, hunger relief, medical care, mental health, and education. The list of services includes: residential rehabilitation programs for teens and adults, a shelter for human trafficking victims, a transitional living program for homeless families, mobile hunger relief and medical programs, foster care intervention outreach that closely works with local agencies, adult basic education, job skills training, and life skills, to name a few. This year, the Center added a school for children of homeless families. As the convention concluded, the sun was shining and people were smiling. I left the resort promising to return to the San Diego area . . . perhaps for a future Rose Bowl parade.